Why Does the Boston Ad Club Hate the Herald? 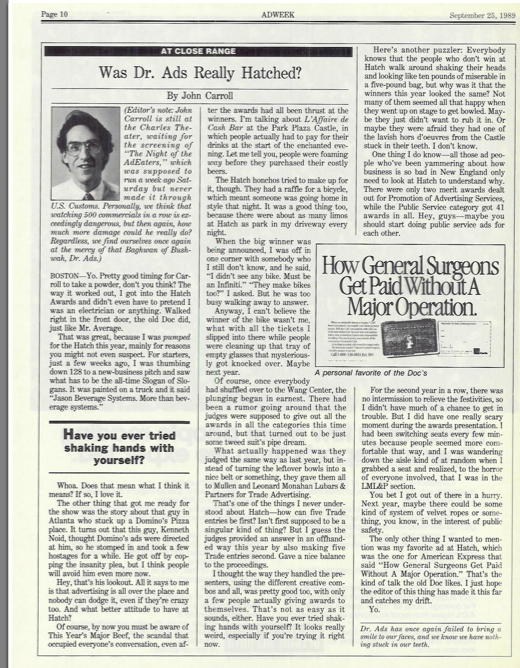 The hardreading staff has always loved the Hatch Awards (a.k.a. The Night of the Long Knives), which annually honor the best advertising campaigns in New England. Yesterday the Ad Club ran this celebratory ad in the Boston Globe. 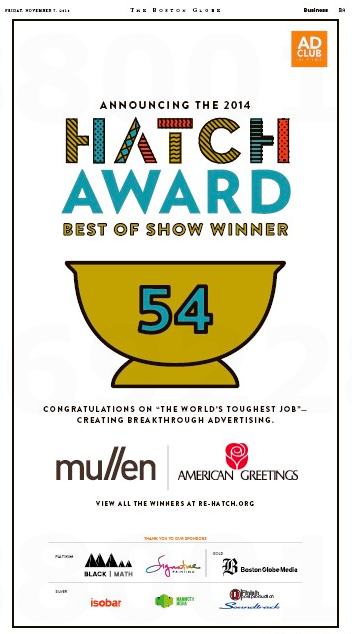 Best of Show went to Mullen (the ad agency that initiated the Night of the Long Knives when it velvet-roped-off its seating area one Hatch night back in the ’80s). P.S. The Ad Club ad did not run in the Boston Herald. Par for the (of) course. This entry was posted on Saturday, November 8th, 2014 at 12:52 pm and is filed under Uncategorized. You can follow any responses to this entry through the RSS 2.0 feed. You can leave a response, or trackback from your own site.